Please note that if you attend one of our physical conference locations, you will be viewing that portion of the program only. There are no provisions organized by AHA for in-person attendees to watch the rest of the AHA conference livestream. If you would like to host or attend a watch party, please contact your local AHA group. Livestream all of our conference talks and awards sessions from all five university locations for free! Check out our schedule page for the latest information on our lineup of speakers and awardees. Listen to talks by Andy Norman, Dr. Madhvi Potluri, and Dr. Jacob Sawyer, and watch Dr. Pamela Gay receive the 2019 Isaac Asimov Science Award! Learn more about our Carnegie Mellon program here. Listen to talks by Anthony Magnabosco and Janet Heimlich, a panel discussion on philanthropy in a post-religious world, and watch Richard Wiseman receive the 2019 Humanist Media Award! Learn more about our Rice University program here. Listen to talks by Sheldon Krimsky, Laura Ball, Kim Newton, Jay Wexler, and Donna Forsythe, and watch Leighann Lord receive the 2019 Humanist Arts Award! Learn more about our Medgar Evans College program here. 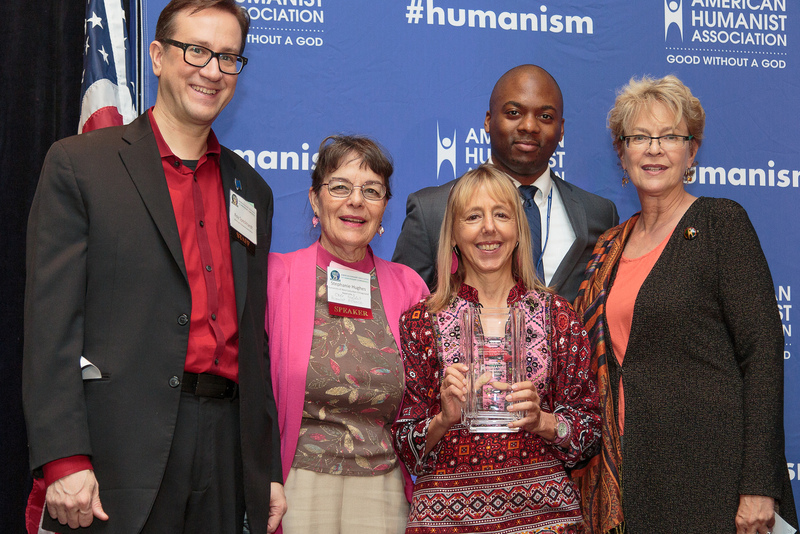 Listen to talks by Sharon Thompson, Dr. Ali Winters, Vic Schachter, and Kevin Bolling, and watch Mara Wilson receive the 2019 LGBTQ Humanist Award! Learn more about our Pitzer College program here. Listen to talks by Kalai Mugilan, Jennifer Hancock, and Anita Peters, and watch Barry Kosmin receive the 2019 Lifetime Achievement Award! Learn more about our University of Miami program here.